A DOG'S LIFE believes that all dogs deserve the best that life can offer. All dogs require more than food and water everyday. They need a loving, fun and safe environment filled with fun, furry friends and passionate, loving playgroup leaders. It is our mission to provide the highest level of services, love and support to dogs and their human families all at one location. We believe that taking the time to get to know each and every dog as our own, investing in our employees, continuously improving our day-to-day operations, and providing mental and physical stimulation and learning for your dogs is most important to our clients and their pups. A DOG'S LIFE puts all employees and canine members through a rigorous prescreening process(including corporate background checks) to ensure that your dog is in a safe and loving environment. We are extremely vigilant in understanding each dog's individual personality, needs and behaviors, partnering parents as a team to ensure their dog is having the time of their lives. At A DOG'S LIFE, our spacious indoor/outdoor facility is designed to serve as a second home for our canine members. The facility includes dedicated play areas for dogs of all sizes and soft flooring to provide cushioned support while playing, no crating dogs to accomodate more pups and stimilus, stimulus, stimulus. Our belief is that the passion and love of our staff must be coupled with outstanding service to our clients. We adhere to the highest standards, consistent and safe protocols to ensure the best care possible. 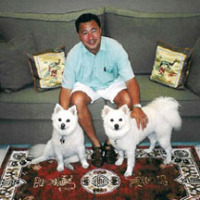 In 2003, my wife, Theresa and I rescued a cute white fluffy shelter dog and named him Kimo. We didn't know then, we were the ones who were actually rescued. The love, happiness and joy that Kimo added to our lives was infinite. We wanted to Kimo to have a full and active life while we disappeared to our 12 hour plus days to work so we entered him into a new concept at the time, doggie daycare. He simply flourished. When his daycare unexpectedly closed and having experienced the entire range of services of training, grooming, daycare, boarding, I decided to take matters into my own hands and pause my career to open A DOG'S LIFE. My intent was to create a canine resource center for Silicon Valley dog owners, who are so busy with work and LIFE but desperately need a trusted partner to provide the best of breed care for their furry companion. I put together a business plan and started recruiting a team. Fortunately for me, wise dog trainers warned me not enter the business based on my passion and experience as dog owner but recommended I become a dog trainer and develop a deep knowledge that would help me and my clients in the future. I researched the best programs in the country and fortunately, one of the best programs was on our backyard. 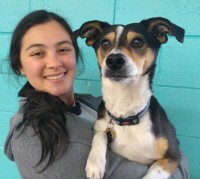 I applied and was accepted into the San Francisco SPCA's Academy for Dog Trainers, a 24/7 immersion program that combined classroom and practical canine behaviorial training via positive reinforcement. The program consisted of 10 students from around the world working with renown dog behavioralists, attending class while fostering, training and developing/applying behavior modification protocols to SF SPCA canine residents. This experience only increased my passion and commitment. A DOG'S LIFE'S operations have incorporated advice given from the Academy's Director, best selling author and world-renowned dog behaviorist, Jean Donaldson, who reviewed and provided input to our day to day business operations, ensuring that the finest practices were established from our first day over 14 years ago. We have set the standard for daycare by making your dog's physical, social and mental well-being and stimulation our top priority. Our goal is simple: to provide the safest and most loving care for you and your canine companion. Our comprehensive programs were designed to help you for the life of your dog. In 2009, the Humane Society of Silicon Valley opened their new facility in Milpitas. After an extensive selection process, ADL was selected the partner to design and manage all four canine care categories: daycare, boarding, training and grooming services. We are a convenient, one-stop-shop for “best of breed” services including daycare, boarding, grooming and training, each of which incorporate ADL’s strict positive reinforcement philosophy. We emphasize both physical and mental stimulation. We teach and reinforce basic commands such as sit, down, wait, name recognition and recall to all of your dogs on an ongoing basis. Don’t be surprised if your pup comes home with a new trick under his or her collar like spin, shake or play dead! We give honest feedback on how your dog did during the day. We partner with parents in regards to their pups behavior and health. Passionate, knowledgeable and caring staff all receive extensive on-going personalized training. We use only positive reinforcement methods to work with your dogs, and incorporate the use of food, toys, play and attention as rewards for good behavior. We teach pups to make good decisions not threaten them to not make bad decisions. Our staff takes the time to get to know each of the dogs in our care. We're your dog's family away from home! Dogs are grouped by size and temperament to ensure the right playgroup for each dog! All dogs that join us are evaluated on an on-going basis to ensure daycare is contributing positive aspects to their lives. Dogs have access to resources, toys,balls, bones and treats to play with during the day. No crating of dogs to accomodate more dogs and boost profit margins. ADL really is a Labor of Love for Keith. Not only did he want to develop the best place possible for client to take their pups, but he also was very focused on creating jobs and careers for aspiring and passionate dog lovers. 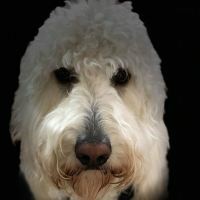 Keith's philosophy is A DOG'S LIFE should be a self sustaining business giving back to his staff, clients and the community. Born and raised in San Jose, Tara has always loved animals. 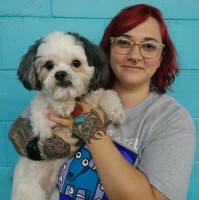 She joined ADL in 2010, in early 2012, Tara received her Professional Grooming Certificate through Animal Behavior College (course work + 100+ hours of hands-on training) while pursuing a graphic arts degree, She has had several grooming positions, but says the ADL clients and pets are the best. Her favorite part of working at ADL is how dedicated the staff is to working with each dog, making sure they are active, learning, safe, and comfortable. Ashley was born & raised in San Jose. 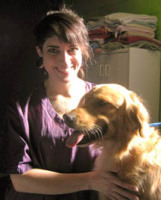 She has always had pets and found her passion for dogs after working for ADL back in 2012. She wants to go back to school to continue her degree in marine biology. She isn’t able to have a pup of her own yet, she is waiting for perfect moment to have her forever pup(s). One of her favorite aspects of ADL is building bond with the pups & especially the clients! Ashley has always wanted a job that she looked forward to everyday. "At ADL, I found just that!" Tanya was born in Michigan. When she was 3 her whole family (including their pups Bambi & Sam) moved west. Tanya worked as an Executive Assistant & the as an HR Specialist while attending evening classes to complete her BA from SJSU. 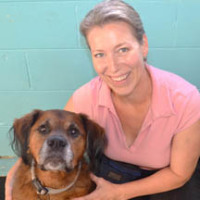 After years in corporate, Tanya realized the stress was not healthy , she began volunteering at HSSV. Fortuitously, her canine nephew was at ADL & after seeing the love, care & positive reinforcement at ADL, she applied. Her love of dogs knows no bounds. Meagan, a San Jose native, has always had a passion for animals. She raised rabbits, chickens, worked with horses in 4-H, then joined FFA in high school raising pigs & competing in fairs. She recently graduated Chico State with a B.S. in Agricultural Business. She has Kona an energetic Border Collie and Elvis a Cockatiel. 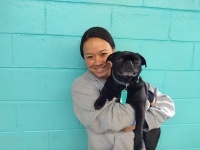 Jade was born and raised in Southern California and moved to Sunnyvale 4 years ago. She currently has 2 pets, a leopard gecko named Boba Fett, and little chihuahua terrier mix named Nani. She is the oldest sibling, and majoring in culinary and business at De Anza College while working towards transferring to Monterey Bay State. A dream of her’s is to own a very successful bistro/music venue, and an animal rescue sanctuary. Jordin was born in San Jose, grew up in Santa Clara. She graduated from De Anza College in 2016 with an AA in Business & Finance, & is working on her bachelors. She currently has one pup, named Baby. Her hobbies include photography & gardening. 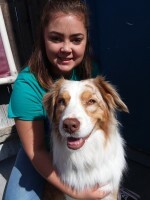 She has volunteered at Bark in the Park in San Jose & has done community service with The Humane Society of SV. She loves working with the dogs at ADL, because she gets to grow special bonds with each one, earning their trust & love more & more daily. 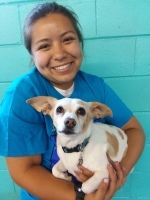 Yessenia Hernandez graduated from Foothill High School in San Jose , Along with a certificate for Veterinary Assisting from the vocational schooling program within my high school. She enjoys sports , dogs ,food , the beach , friends and family . I love dogs because they are the best companions a person could have , they spread unconditional love and love us no matter what ❤ ." 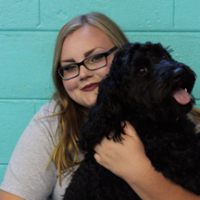 I LOVE working at A DOG'S LIFE and enjoy working as a team , being a part of A DOG'S LIFE changed my perception in dog socialization and behavior , I couldn't imagine myself anywhere else." Taylor Marie was born in Clovis, California but moved to San Jose for school. She has a B.A. in Art and Studio Practice with a concentration in Photography from SJSU and now makes mixed media embroideries in her spare time. She has had many animals in her life including, 2 rabbits, 5 rats, 2 dogs, and a tarantula but she loves dogs most of all. She loves working with dogs everyday she can and says that this job has been the most fun and rewarding one she's ever done. Her dream is to one day work in a photo studio specifically for pet portraits. Coming Soon, currently too busy managing a playgroup! Melissa was born in Santa Clara, but grew up mostly in Virginia. She moved back here to attend SJSU, and worked part time at a doggy daycare while earning her B.A in political science. 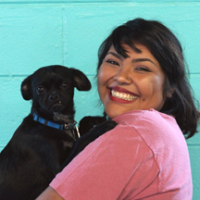 After completing an internship in Sacramento, she decided to go back to her bigger passion of working with dogs. Over the years she’s volunteered with different animal shelters, and also done citizen lobbying with animal welfare organizations. In the future she would like to become a fospice mom to older dogs. Rachael was born in Reno, Nevada but raised on a dairy farm near Pittsburgh, Pennsylvania. She joined the Army right after high school and completed eight years of service with two deployments. Rachel is now working to complete my bachelor's in Psychology at Stanford University. Throughout the years moving around the country and spending time overseas, animals have always remained a priority for me. Whether it was working on the farm, hanging with the military working dogs, volunteering at animal shelters, or loving on her own pets- she has always spent as much time with animals as possible... especially dogs. Busy in training, making new friends in the Playgroup! Back at the University of Minnesota, hopefully staying warm and dry!